We are all in denial this time of the year. No one wants to think the lazy, hazy days of summer are behind us yet more and more frequently we’re seeing cold fronts in the forecast and a distinct chill in the air when we venture out. As always, we at D & D, believe prevention is much better than cure. Taking care of a handful of items in and around your home before winter really sets in ensures the maximum efficiency of your home. No one ever put “fixing the furnace” on their Holiday list! Heat: Always the first thing that comes to mind as winter nears and all furnaces and water heaters benefit from annual maintenance and cleaning. General cleanings lead to greater efficiency and oil-fired equipment actually has filters that require changing annually. A scheduled preventative maintenance trip is far less costly than an emergency call out. Let’s face it, when something stops working it’s never at a convenient time! Air Filters: While every HVAC system is different, most have a filter or two that either require changing periodically or at least cleaning. Now’s a great time to do this and get rid of all the dust and spores that were collected during fall. Smoke Alarms & Carbon Monoxide Detectors: A general rule of thumb is to check these small crucial devices when the clocks go back in fall and spring forward in March. They are life savers. A small button on the casement beeps to verify they are working. At the same time, changing the back-up battery inside ensures they will operate properly even in a power outage. Not everyone is comfortable doing this or can reach the device. We are happy to do this for you during any visit. Insulation: We all procrastinate and it’s definitely not too late to add insulation to your attic or around your home this year. In fact our installers actually prefer doing this job in the early winter months as the attic space is not unbearably hot to work in! Sometimes insulation is not just about big spaces though. Lagging pipes that are in vulnerable areas has saved many a homeowner an unnecessary burst pipe in a garage or in a space not well protected from the outside elements. Smart Thermostats and Temperature Control: Chances are you probably already have a Smartphone so having a Smart thermostat really is the next step. Customers often ask us what this will do for them over the more routine programmable types. The quick answer is that it allows you to control your HVAC system anytime you have your Smartphone with you. Best example of this: if you’ve been away for the Holidays and had your heat turned down, you can turn it back up hours before you return to make your home toasty and welcoming! HVAC Equipment: Smart decisions about your home’s heating, ventilation and air conditioning systems can have a big effect on your utility bills, as well as your comfort. If your current equipment is not Energy Star certified, it may be the right time to consider replacement. There are also some Federal Tax Credits available to those who switch this year too so pushing forward with a change in 2018 just may help you when April 15 comes around. 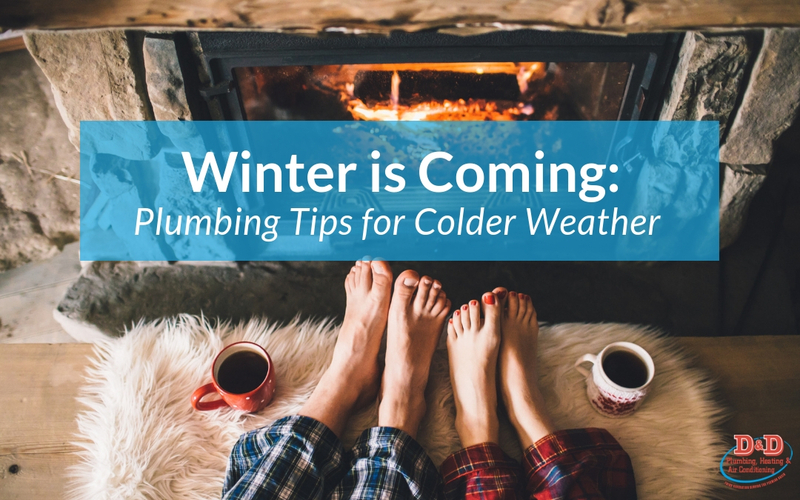 Late fall is a great time to check a few things and while they are not strictly plumbing related, they matter in the overall functionality of your home during the winter months. Drain outside faucets and turn off if temperatures regularly get to below freezing in your area. Consider having your favorite plumbing service (that’s us) install freeze free faucets to take away this task next year or even this year. Clean out gutters. It’s hard for rain to get to the drainage around your home if the gutters are blocked and can lead to ice dams and other problematic issues. Check ground drains are running freely. Again if water can’t get away from your home, it’s never a good thing. Cover or wrap any plants or shrubs that need protecting in cold temperatures or from pesky deer! As usual, if we can help with any of these winterizing projects, contact us!